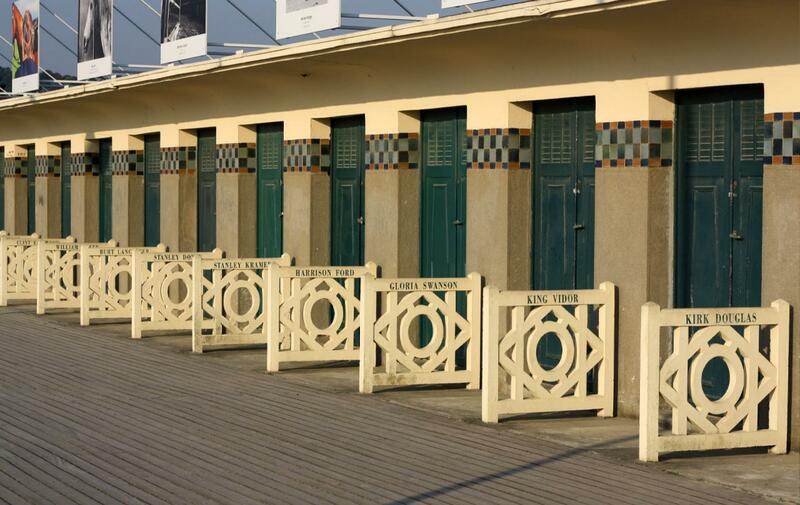 The famous Boardwalk, one of the symbols of Deauville, was built in 1923. Extending along the Pompeian Baths built in the same year by the municipality, the Boardwalk replaced the previous beach cabins, considered too deteriorated. This Art deco structure, signed by Charles Adda, found its inspiration in ancient models, preserving a close relationship with modernity through engraved lines and the use of concrete punctuated by mosaics. This area became and remained forever a renowned meeting place, extending today, after successive renovation works, on 643 m.
In 1966, Claude Lelouch gave worldwide notoriety to the Boardwalk –where a square now bears his name- with the film “A man and a woman”. Nourished by several architectural influences, this seaside resort offers a great variety of architectural styles. 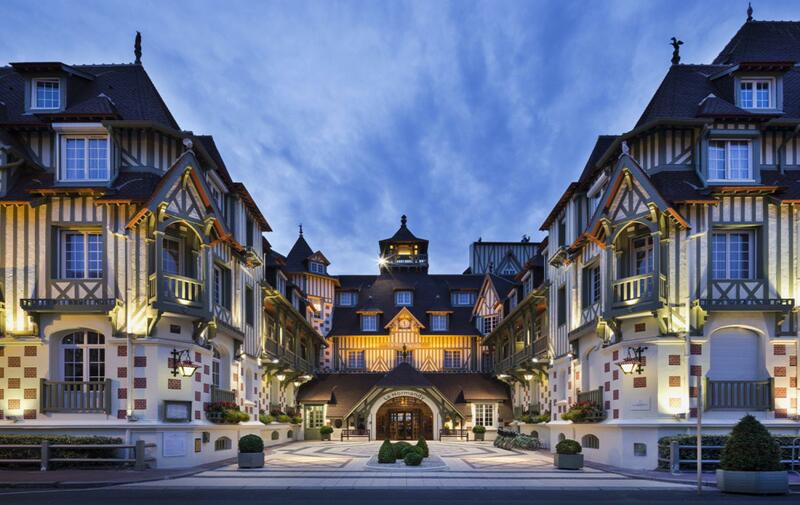 Deauville was a modern city at all times, bold and creative, understanding its talents. Brilliant expressions of city planners, landscapers and architects are still there. Villas are often amazing, sometimes considered real architectural masterpieces, giving to Deauville an original, characteristic, precious charm, surprisingly different in each district of the city. 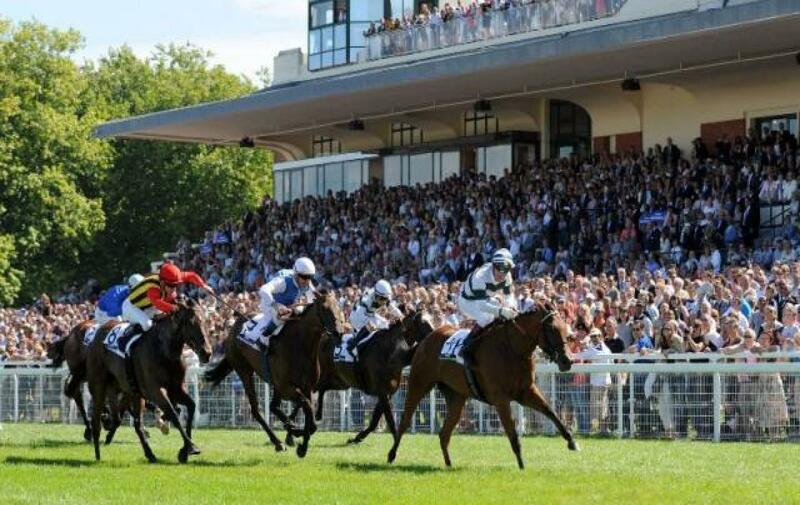 The identity of Deauville is based on three main characteristics: extremely creative, shining, eclectic or more modest architectures; originality and strength of its urban plan; role of gardens and fences, fully contributing to the general ambience of the city. 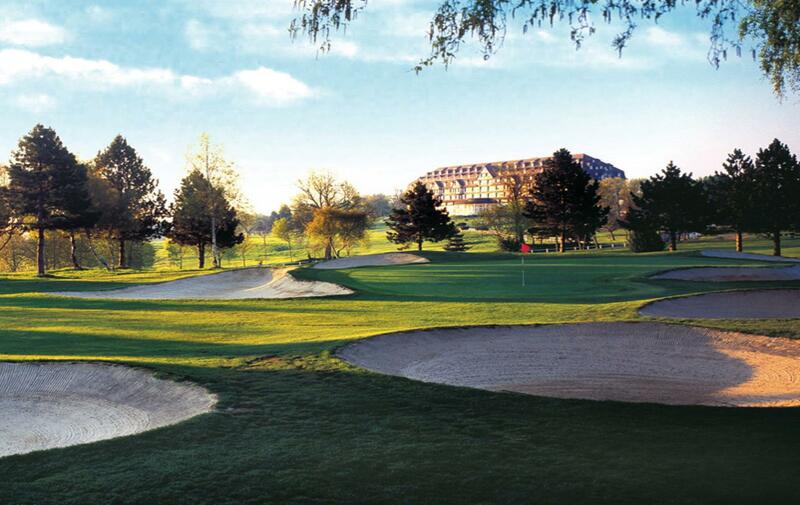 Golf courts situated in Deauville or some minutes away from the city can satisfy players who are passionate for various, green and flowery courses. From lakes to bunkers, some courses are predominantly technical, while others, more fun-oriented, are sure to satisfy golfers in search of fresh air and relaxation… All golfers, independently from their technical level or their fantasy, may deal with various and complementary courses before relaxing in friendly club-houses.